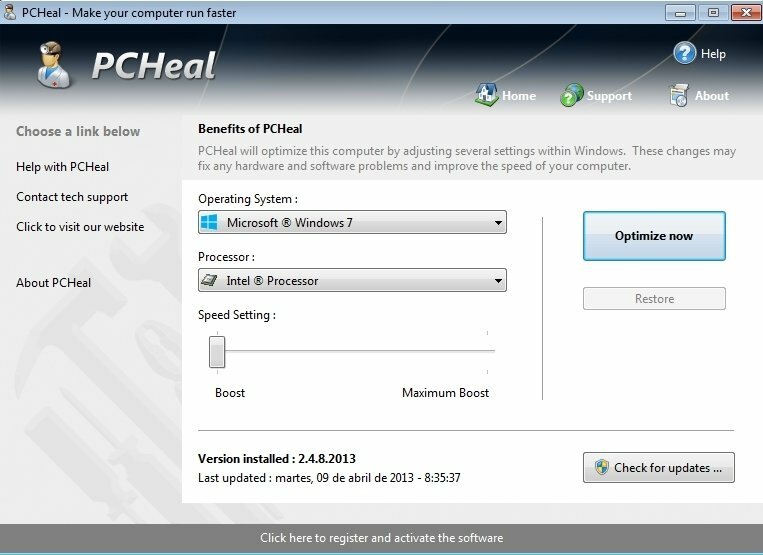 PCHeal is a very easy-to-use optimizer, that improves how your computer works, because it locates and repairs incompatibilities, and carries out changes to the Windows Registry and the file system. No matter how powerful a computer is, we can always improve its performance by applying the correct configuration. 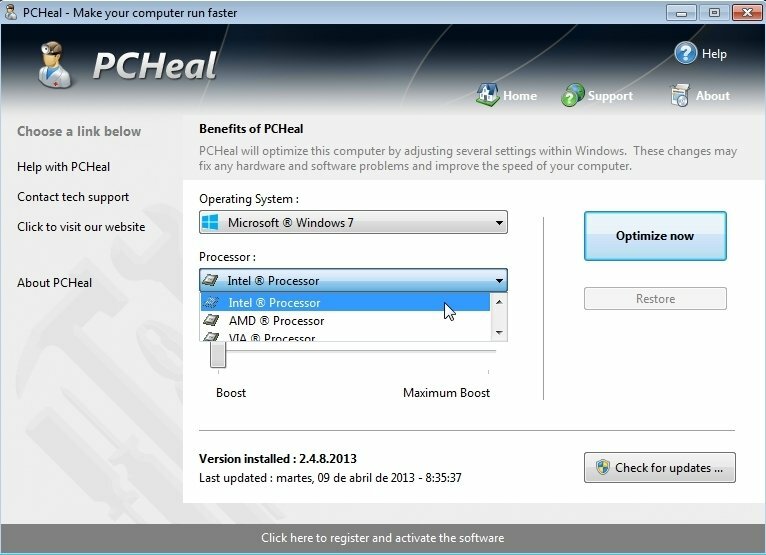 That is why among our computer's essential program list we must include one that analyzes and optimizes the system such as PCHeal. - Effective from the first moment it is installed. 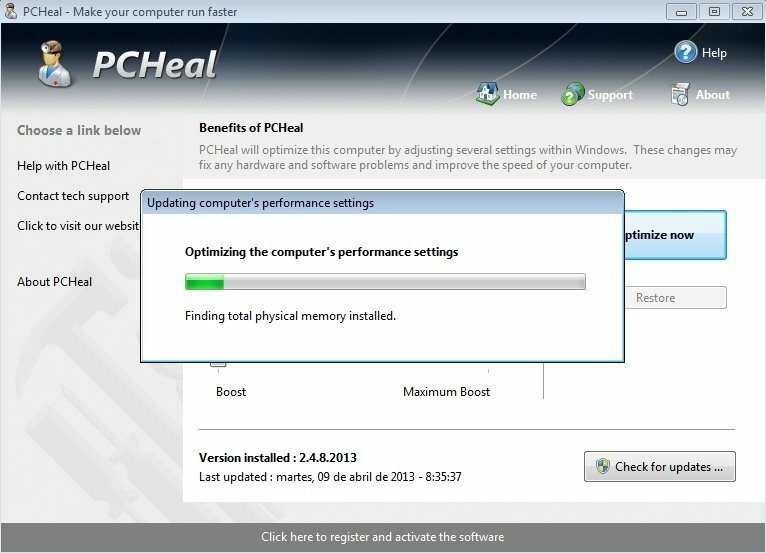 - Increase CPU and memory performance. - Automatic adjustment depending on the computer's specifications. 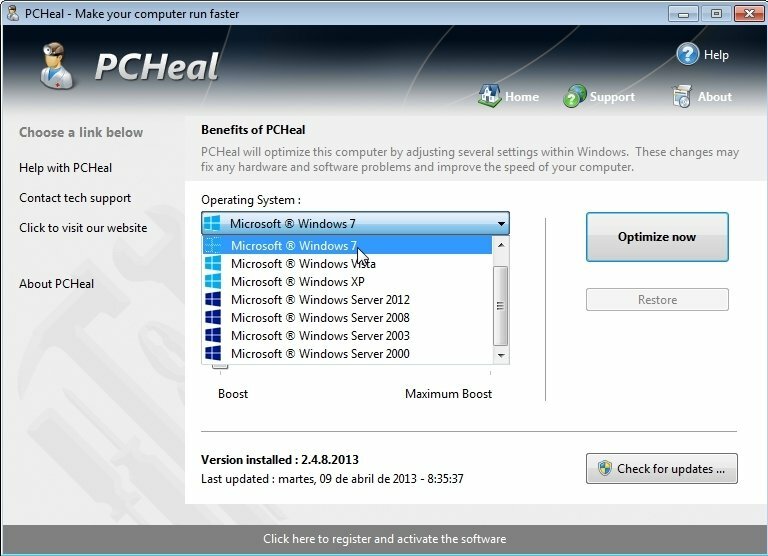 This application stands out due to its compatibility with all versions of Microsoft's operating systems, thus allowing you to use this application on different PCs without having to worry about what Windows OS they have installed. The trial version can't use the configuration of the most optimized speed.